Creamy, dreamy neutrals. A beautiful and calm environment to welcome any little one to the world. 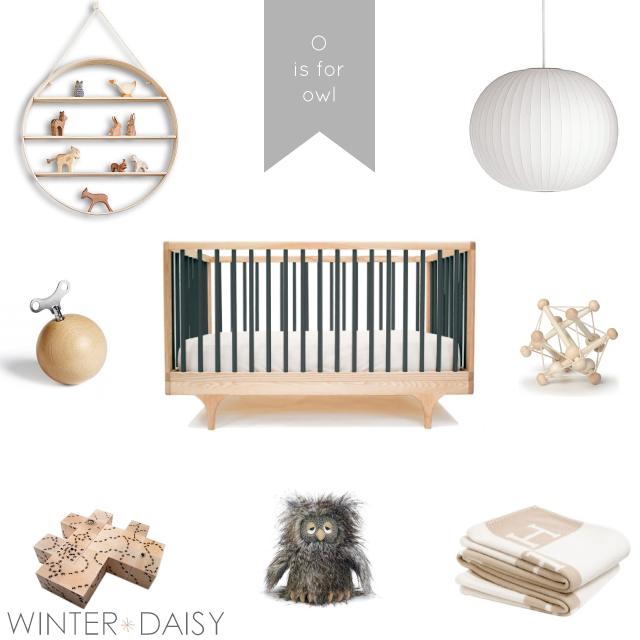 What do you prefer for a baby nursery - neutral tones or bright colours? Top to bottom, left to right: 01. Bride and Wolfe circle shelf, 02. Nelson ball pendant, 03. Mozartkugel music box, 04. Kalon Studios caravan crib, 05. Manhattan Toy Skwish, 06. Unclegoose ants cubes, 07. Jellycat owl, 08. Hermes blanket.